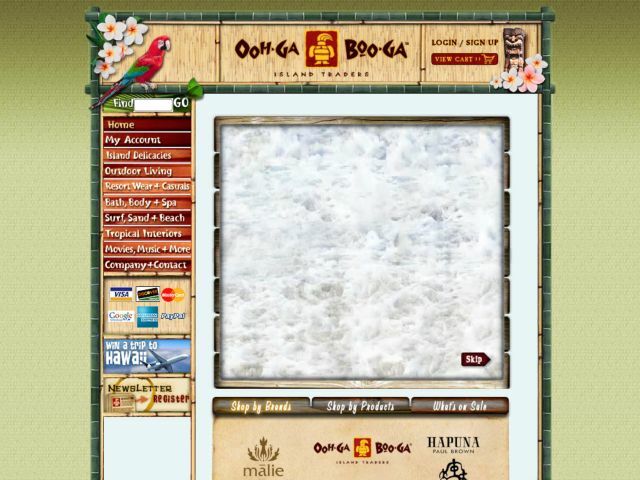 A web store providing access to exclusive products from the pacific islands, including everything from private-label kona coffee to outdoor tiki bars. The site includes video, free wallpapers, and a lot of character. This isn[HTML_REMOVED]t your basic webstore. Built with Satchmo on Django.